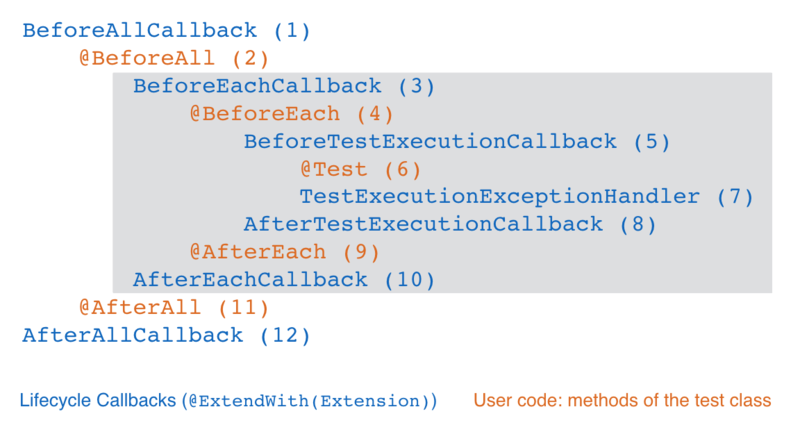 assertTrue('a' < 'b', () -> "Assertion messages can be lazily evaluated -- "
@Test // Regular expression testing bound system property. @Test // Multi-line script, custom engine name and custom reason. return "bar"; // 'b' < 'f' in "foo"
INFO: Method [sleep20ms] took 24 ms.
INFO: Method [sleep50ms] took 53 ms.